EHA is a School Choice Provider which gives families access to apply for three wonderful scholarship programs. Click here for School Choice scholarship information. 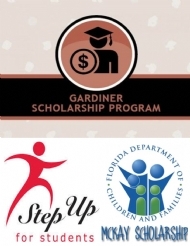 Click here to apply for Step Up for Students, Hope, Gardiner, and Reading scholarships. Financial assistance to qualified applicants who are not able to meet the cost of tuition is determined by the Rabbi and Rebbetzin. Financial assistance funded by the Chabad is not a scholarship. These funds are administered by the Chabad for temporary assistance to families with a financial need. Assistance is granted for a period of one year only. It is the obligation of each financial aid recipient to inform EHA immediately of any change in circumstances that might justify reconsideration of the amount of funding. VPK is a state funded Pre-K program that EHA currently offers for 4 year-old children who meet the state requirements for the program. 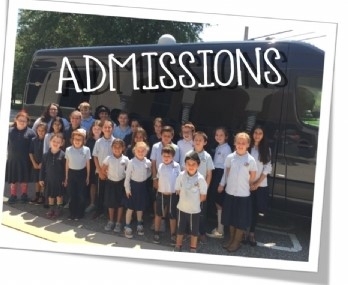 Click here for more information on VPK. Only modest scholarships will be awarded to children in programs younger than kindergarten, limited scholarships might be available to children who have not turned 3 by August 31, 2019. Please note that the Rabbi reviews all decisions made during the applicable school year. The Rabbi may rescind scholarships granted if it feels that a family’s circumstances has changed. Requests for assistance must be accompanied by a copy of all pages of your most recent 1040 Federal Income Tax Returns, as well ad the W-2 Forms (where applicable), for both husband and wife, for the past 2 years and all supporting data. (If self-employed or owner of business, Schedule C must be included). Click HERE for the Needs-Based Assistance Form.